The middle four episodes of Season 5 of Homeland continued to provide some context to one of the main plots of the season, who is trying to kill Carrie? While this plot is somewhat ridiculous (really is Carrie that important that the villainous Russians need to kill her? ), it does provide the narrative that makes sense for Carrie to resume her action filled pre Berlin life. However what intrigued me out of the four episodes I viewed (and it was also the episode I enjoyed most watching) was episode 8 “All About Allison”. This episode spent a good portion of its time in flashback mode, where we saw a fresh-faced and newly appointed CIA agent Carrie (and seemingly with a spring in her step!) and a wary and jaded Allison Carr‘s first meeting back in 2005 Baghdad. Carrie had just arrived to relieve Allison of her post, with Allison positively itching for her vacation time at a St. Lucia beach side bar called Banana Joe’s. While this may seem like such a mundane part of the narrative for this episode, this flashback was actually integral to the narrative because viewers found out how and why Allison became a spy for the Russians – she was caught by her now-handler Ivan Krupin when she was conspiring to run off with Ahmed Nazari, along with millions of dollars of stolen U.S. currency. Ivan proposed that if Allison agrees to become a double agent for the SVR instead, he will offer her a hefty monetary compensation with mutual information exchange that will help her climb the ranks of the CIA (and avoid federal prison). All the while in this season Carrie has slowly been solving the mystery of who wants her dead. After combing through an exhaustive list of potential assassins, and coming up empty handed, it took a screen saver of a picture of Banana Joe’s (a bar Allison mentioned during the flashbacks of this episode) and confirmation from an internet search that unravels the mystery for Carrie. I guess Allison is right, Ivan is underestimating Carrie. What are the odds that such an insignificant utterance a decade or so ago will be the very thing to kick start your downfall and potentially lead you to prison or to get you killed? This episode really illustrates the characterization of Allison. While putting someone’s name in the CIA’s kill box, and making it look like someone else put that name there (Saul) usually does not garner much sympathy for someone, it’s clear Allison is not some sociopathic cold blooded killer. In fact, it’s clear she’s not heartless; she’s simply ambitious. She also knows she’s trapped, and that one day Carrie will somehow find out the truth and she is worried about that happening. Clearly Allison has some empathy as she could have easily had Carrie killed by simply lighting her cigarette as a signal to the sniper nearby. Instead she caves to Carrie’s anguished cry that she “had a life and wants it back”. According to Aaron Riccio of Slant, “All About Allison” provides a reasonable explanation for the way she’s let her loyalty to the United States lapse over the course of 10 years; she’s most recently helped the Russians disrupt American plans in Syria. But there’s nothing in all of her present scenes to indicate why she’d continue to risk being exposed by leaving Carrie alive. If Homeland‘s writers are attempting to demonstrate that Allison is adrift, seeking to cling to a happier, less compromised moment in her past, then they’ve failed. If anything, Allison comes across as more bipolar than Carrie, constantly split between extremes. This episode also imparts a feel that Allison has become the protagonist, while Carrie, Saul, and Quinn scurry off in the background to their own adventures, eventually fitting the puzzle pieces together that make up this season’s general plot line. While it’s plainly obvious (at least by seeing previews of Season 6) that Carrie is not going anywhere, it remains to be seen how Allison will fully fit into Homeland’s world. Will she be more than a one-season-wonder? Could Allison become a villain to the likes of Abu Nazir, Javadi, or Haggani? She has an emotional connection with Saul and is a high ranking member of the CIA. 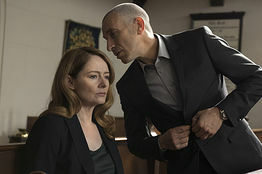 Plus she given her connections, she may be able to evade Saul and Carrie for a while or become an asset herself (akin to Javadi) so they can take down the SVR. 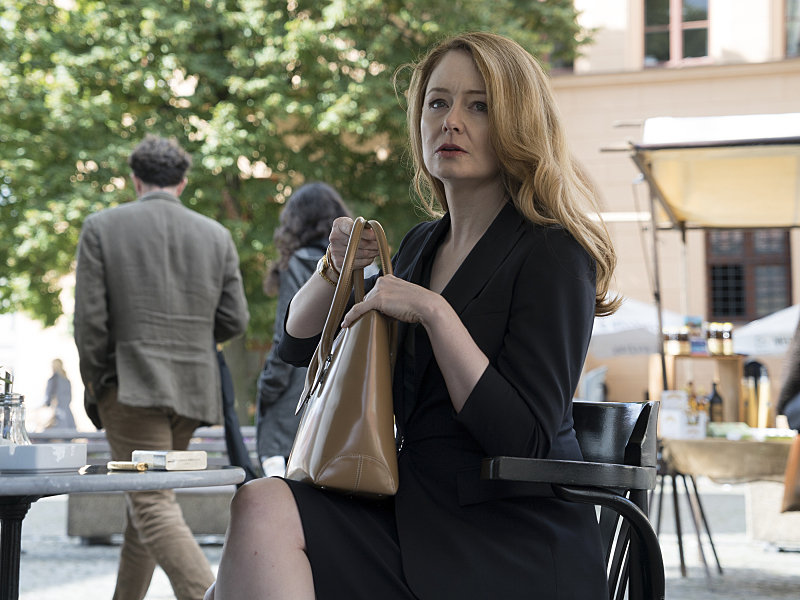 Allison is a new character to Homeland this season and although she played an important part of Carrie’s professional life early on, a minor detail spoken a decade ago can be the thing to derail Allison. With Saul and Quinn getting themselves into their own respective situations, the concluding four episodes of Season 5 are sure to be action packed and full of excitement.